The GSP is proud to announce that we have officially established the Geophysical Society of Pittsburgh Scholarship Fund, thru a local scholarship foundation (ACCF). Click on the link above to apply. Established in 2013 by the Geophysical Society of Pittsburgh, the purpose of the fund is to provide scholarships for a junior or senior undergraduate pursuing a BS degree with emphasis in geophysics and who is planning to attend graduate school where he/she will pursue a Masters or PhD degree with an emphasis in geophysics; or a graduate student in geophysics or on a geoscience tract emphasizing geophysics. 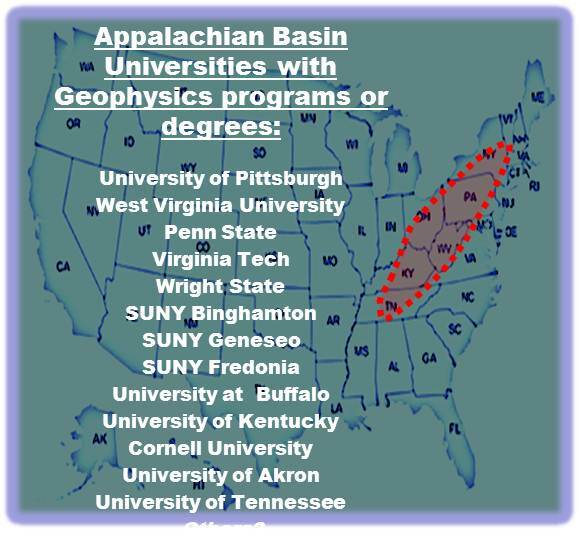 In either case the student should be attending an accredited college or university in the northeast US within the boundaries of the Appalachian basin.